Explore, Learn, Have Fun! : How to lose 10 lbs in 20 days! If you are a regular reader of my blog, you may have noticed my little pink weight loss box in the upper corner of the right sidebar. January 1 I made a decision to eat better, cut my portions, and aim to lose 5 lbs a month this year. That would be 60 lbs by the end of 2013 - sweet, right? I signed us up for local delivery of organic produce, so we've been using lots of new-to-us veggies in our diet. I tried to cut my portions as much as I could. I drank half sweet/half unsweet tea instead of sweet. I lost 10 lbs by mid February, which was pretty good, but it was hard. I had no energy. I was always tired, cranky and miserable. If you can't summon the energy to do things that matter, your quality of life is not good! I was there. I have a local friend who is on FB, and late last Fall I started noticing her posts about her energy level being high, losing weight, starting Zumba, etc. Hmmm, I thought. But I didn't ask her about it. Our kids are at different schools now, so I haven't seen in her in over a year. In February, I saw her before & after pictures that she posted. Oh. My. Gosh. 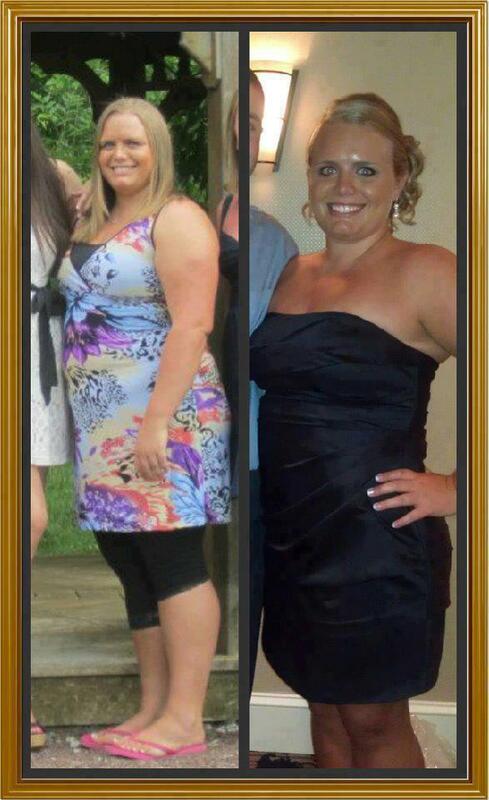 She lost 60 lbs since last May! 60! She is still losing weight. Her claims of high energy - they are legit! Her schedule is insane, and she is full of energy all day long. I asked her for a sample of this supplement she was taking. It's called ACE. She said they don't offer samples, you have to give Ace a month to see the changes it can make for you. But, she added that if I didn't like it, she would buy back any unopened product from my first 30 day supply. (The first 30 day supply came in 15 two-capsule packages, easy to carry with me! I just open one every two days!) Well, that was a risk free chance I was willing to take! You can also get a 60 ct bottle - it's cheaper in the long run and this is what I use now! I started ACE 2/24/13 and by 3/15/13 I had lost 10 more lbs. But even better, my energy level has been steadily increasing. The first few days, I felt a little more energetic. But by day 10, I was working around the house like I haven't done in years! And it isn't a yucky, jittery kind of energy. I was very concerned that it would make me feel weird, with a racing heart rate. But that isn't the case at all. I feel like me, with energy! : ) Last week I even started walking again, which makes me so happy! I am going to get this weight off, and do it the right way so it STAYS off! I'm aiming for 80 lbs this year, so I've got 60 to go now! Another change from using my Ace daily: I didn't change my diet too much. Still, I noticed by the 2nd week that I am full so easily. No more second helpings needed. I don't have the urge to snack during the day, but I usually eat a yogurt mid-morning to keep me satisfied after breakfast - I notice my lunch choices have been much healthier, too. And I haven't had a night time snack in over 2 weeks - that is crazy! I used to always get something to nosh on while watching tv in the evening! I don't feel hungry, and I don't feel that urge to snack! Oh, and my daily half and half tea addiction? This past Friday, I realized I had only had one all week! The past three weeks have been the best I've felt in literally years. I thought for sure that Ace would be like the hydroxycut, the slimfast, the low carb and every other fad I've tried. That it would be one more thing I tried that didn't live up to the claims. And believe me when I say I have tried them all. I would even buy Woman's World magazine every week and try the soup diet or shake diet or whatever diet they had that week. Being over 40, my metabolism HATED me! 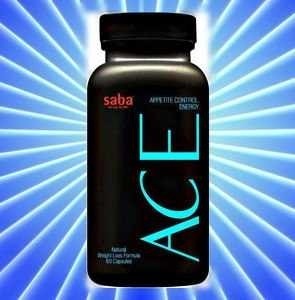 But ACE has changed my metabolism, and it is working great for me! Let me tell you what is in Ace. It is ALL NATURAL, clean, sustainable energy, which means that you won't have a short burst of energy, then a crash. This lasts all day for me! It contains Vitamin B6, Chromium, and a blend of cocoa powder, spirulina, and green tea extract. It's got the caffeine equivalent of less than a cup of coffee. I take my capsule early in the day, with my breakfast and a big glass of water. (I drink 80 - 100 ounces of water a day and that helps Ace work it's magic in my body!) I spend the same amount on one month of Ace as I used to spend on my daily large tea at McD's. I've traded a bad habit for a great one! I was so happy with how ACE makes me feel, that I went to my friend Nicole and asked her if I could start my own business, so I could share it with my family and friends. I signed up two days ago and am just now sharing the news! It's not just for weight loss. I was surprised to find how many people use Ace for that clean energy. Nicole worked with me via text & phone to get my ACE schedule right during the first few days. I started out taking it first thing in the morning, but found I like how my energy lasts when I take it between 9 & 10 am. She kept me motivated those first few days and that's what I will do for you when you order. My Ace Facebook Page has inspirational quotes, info on ACE, and before & after pictures from real women like me who are finding fast, safe weight loss and incredible energy from our ACE! ( I don't update this page often, but if you message me there I can get your order that way!) Leave a comment below this post with your email and I'll send you an invoice for your first month's purchase - you won't regret trying ACE! Doesn't she look GREAT?! She is such an inspiration to me! More inspiration: This gal lost 47 lbs in 3 1/2 months using Ace. Now she is an Ace Associate, sharing it with her friends and family just like Nicole, me and lots of other real women! I believe in it so much that after 20 days, I'm now an Associate! It is working so great for me!! And finally - this is how I feel! I've been in that dream mode for years, but now, with ACE, I'm making my fitness goals happen!! By the end of the year, I want to look as great as I am feeling inside! Join me? Let's look back on 2013 as the year we started making our dreams come true! That's interesting! Gonna follow and see how it goes!